When we are forced to spend vast amounts of our working day using email, it’s important that we are able to configure and utilise the features to the best of our ability. Often it’s the small things that can make the biggest difference to how smoothly our working day goes. Today I want to show you how to adjust the way the email address of any of your Contacts in Outlook is presented. The start of a new year often brings with it the drive to adjust how we work, to simplify and to streamline. I would often implement new ideas or goals at the start of a year which had been on my mind for some time but had been lowered down on my “to do list”. This is one of those things that can help you work smoother and faster. 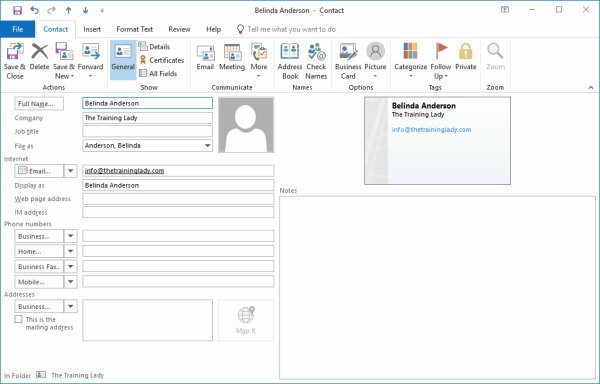 When we are working with different contacts in Outlook, we are dealing with the basic information we need to access: name, email address, phone etc. These days we are often dealing with multiple options for this type of information. A contact may have a home email address, a work email address and often even a “freebie” address to have access from anywhere. One annoyance which I’ve encountered many times both during training and also during help desk calls is the ability to see the email address of the person we are emailing. 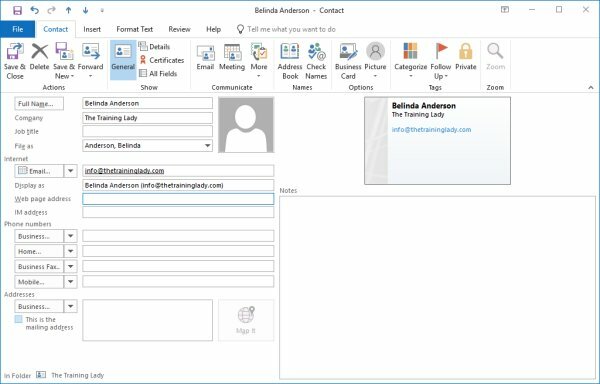 Often Outlook will just display the name for us but it can be quite useful to be able to view the name and subsequent email address without having to double-click it by opening the Contact card. This is particularly important when a contact has multiple email addresses and you want to ensure you are sending your message to the most appropriate one. Let me show you a very easy way to adjust how Outlook displays your Contact names when sending email messages. I hope this provides a little time saver for your day. Did you know about the shortcut keys I mention in this article? Click here to see my favourite shortcut keys in Outlook. 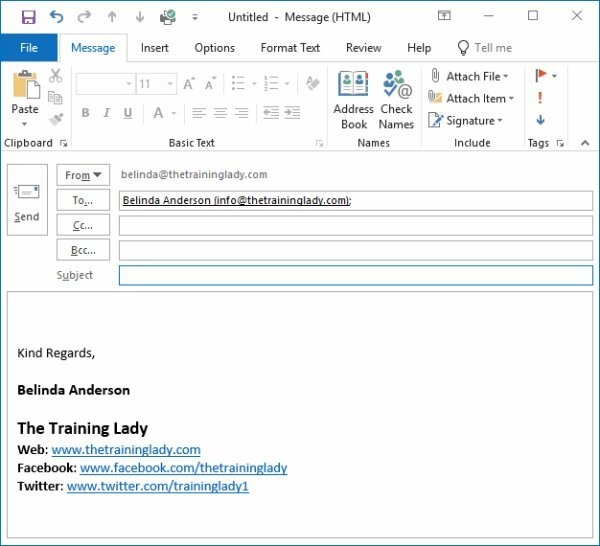 If you like customising Outlook to work better for you, try the following articles: Using AutoCorrect within Microsoft Office, stay updated on your favourite websites by adding an RSS feed to Outlook, and don’t forget that you can create your own distribution list in Microsoft Outlook.